COPPELL, Texas--(BUSINESS WIRE)--Apr. 11, 2017-- Mannatech®, Incorporated (NASDAQ: MTEX), a global health and wellness company committed to transforming lives to make a better world, has awarded more than $25,000 to winners of its New You in 90 TruHealth™ Transformation Challenge, a 90-day body transformation competition. 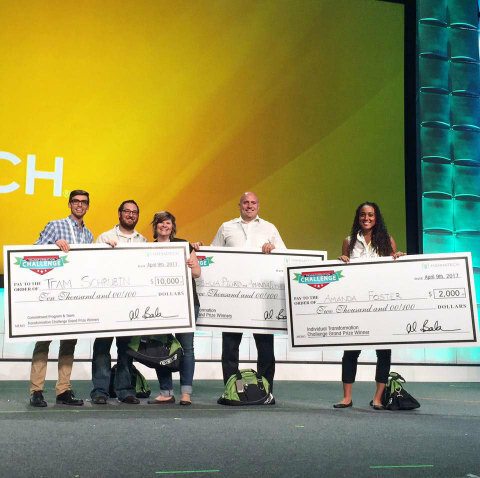 The competition, which began on January 1, 2017, encouraged Mannatech’s customers and independent sales Associates to use its TruHealth Fat-Loss System for 90 days and track their progress and results. Participants submitted before and after photos, along with essays, and Mannatech awarded cash prizes to winners for each month of the competition. The grand prize winners were announced last week in Las Vegas at the company’s annual global MannaFest℠ conference, where all participants of the program displayed their leaner, fitter figures from stage in front of thousands of attendees. Mannatech’s NewYou90.com platform provides participants of the TruHealth Transformation Challenge a one-stop-shop with everything needed to achieve fat-loss success. Complete with product information, an easy-to-follow meal plan, virtual transformation coaches with workouts, tips and more, Mannatech’s customers and Associates can easily track their progress and enter measurements each time they reach a new fat-loss goal.